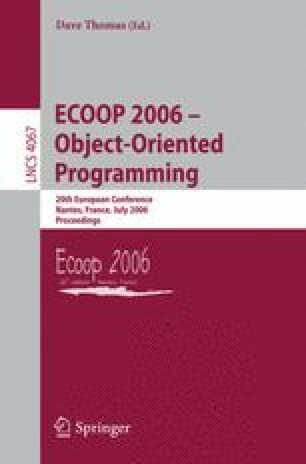 I was aware of a need for object-oriented programming long before I learned that it existed. I felt the need because I was using C and Lisp to build medium-sized systems, including a widely-used text editor, CASE and VLSI tools. Stated simply, I wanted flexible connections between providers and consumers of behavior in my systems. For example, in the text editor anything could produce text (files, in-memory buffers, selections, output of formatters, etc) and be connected to any consumer of text. Object-oriented programming solved this problem, and many others; it also provided a clearer way to think about the problems. For me, this thinking was very pragmatic: object solved practical programming problems cleanly.